Rescue Updates – Where are they now? In the past four years, Hubbs-SeaWorld Research Institute (HSWRI) has been lead responder to several disentanglement efforts in our study area. Through weekly photo-identification surveys, we have been able to monitor the good news of the ongoing welfare of these animals and would like to share our updates with you! In early 2012 HSWRI discovered a young calf, estimated to be 11/2 years old, wrapped in monofilament fishing line in the Halifax River. The calf was disentangled by our staff and released with its mother back into the estuary. Since then we have been monitoring Vanken during routine surveys. In 2014 he separated from his mother, Meri, and began his independent life as a juvenile dolphin. We continue to see Vanken regularly, and he is often observed actively foraging and interacting with other dolphins. Our most recent sighting of Vanken was in March 2016. In early 2012, a juvenile male dolphin was observed struggling to swim with a crab pot float line wrapped tightly around his pectoral flipper. 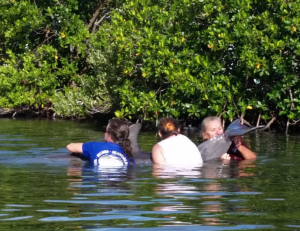 HSWRI staff were able to quickly disentangle and release the dolphin with assistance from a Fish and Wildlife Comission (FWC) officer named Steve, after whom the dolphin was named. Since his release, we have continued to see Steve on nearly every survey. As a young male, he is frequently seen engaging in social behaviors and is always curious about our vessel. While he disappeared for a few months in late 2015, we are pleased to report that we have seen him on multiple surveys in 2016. In 2013, along with SeaWorld Orlando, HSWRI disentangled a young male dolphin that was badly entangled, debilitated, and was approaching fishers for handouts near Port Canaveral Locks. While we were apprehensive that this dolphin might continue to engage in unnatural foraging behaviors (accepting handouts, stealing fish from fishing lines), we are pleased to report that since his release we have not witnessed Loch approaching fishers as he did when compromised by the entanglement. We last sighted Loch on March 11th, 2015 along the east side of the locks while we were searching for another injured dolphin. While he did approach our vessel, he quickly returned to foraging and showed no interest in the actively deployed fishing lines. In late 2014, we disentangled a young calf caught in the fishing line in the Mosquito Lagoon. Immediately following the animal’s release, the young female quickly reunited with her mother who was pacing, waiting for the return of her calf. Since Blue’s release we have actively monitored her and she continues to remain close to her mother, sometimes wandering a small distance away to practice catching fish on her own. Blue was last sighted in March 2016, not far from where we first rescued her over a year ago. This adult male pantropical spotted dolphin was found stranded alive at Kennedy Space Center in November, 2015. In 2015, we responded to three stranded pantropical spotted dolphins (Stenella attenuata). This was the first time this species has stranded in HSWRI’s response area over the past 10 years. Unfortunately, rehabilitation was not an option for any of these animals, due to the ongoing morbillivirus Unusual Mortality Event occurring along the Atlantic coast line. 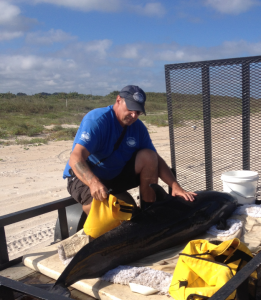 The first animal stranded alive in June at Cape Canaveral Air Force Station. NOAA (National Oceanic Atmospheric Association) authorized the dolphin’s euthanasia and the animal was brought back to our facility in Melbourne Beach for examination. Necropsy revealed a thin blubber layer with parasites present. The dolphin’s stomach was mostly empty, with just a few squid beaks and the parasites. Examination of the reproductive organs revealed that the animal was an adult female and had likely given birth several times in her life. 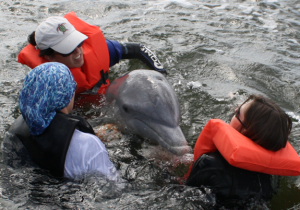 In November, we responded to a second live stranded pantropical spotted dolphin. Without the option of rehabilitation, NOAA authorized euthanasia was performed and the dolphin was transported to our facility for post-mortem examination. Necropsy revealed that the animal was an adult male, possibly of advanced age based on the condition of the teeth. The stomach was completely empty except for gastric parasites. This adult female dolphin was found stranded alive at Cape Canaveral Air Force Station in June, 2015. 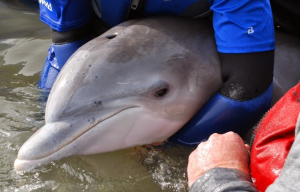 Just four days later, we received a report of a third stranded pantropical spotted dolphin at Cape Canaveral Air Force station; in this time deceased. Various tissues were collected from each of these animals to help determine the cause of the strandings and to gather valuable information on the biology of this species. 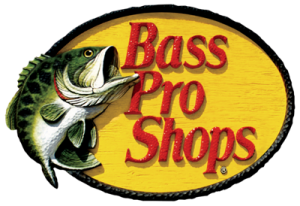 Early on the morning on October 22, 2015 we received a call from a camper at Long Point Marina in Melbourne Beach describing a dolphin in distress. The dolphin appeared to be weighed down and was struggling to breathe. An HSWRI volunteer was first on scene and assessed the animals behavior and determined the dolphin was tethered. With approval from NOAA Fisheries we were able to enter the water with the dolphin. We approached the dolphin on foot and via kayak it was determined that the dolphin was entangled in rope and anchored to a crab pot. The trap was lifted and the animal was supported and brought closer to the shoreline into shallow water. The rope was wrapped tightly around the base of the tail and the flukes. The rope was cut and the animal quickly swam away. Photographs revealed only minor wounds to the base of the tail and flukes. 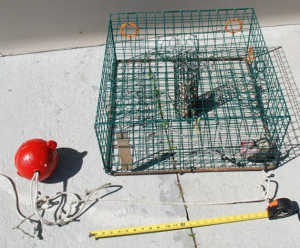 The entangling gear was collected by HSWRI and identified as a baited and active stone crab trap with buoy and float line. 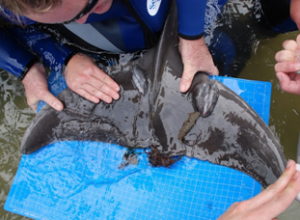 We are hopeful that this animal will make a full recovery and will go on to live a full life in the lagoon. Research by HSWRI’s Wendy Noke Durden has revealed that dolphins in the Indian River Lagoon may occasionally forage from crab pots leading to possible injury and mortality. 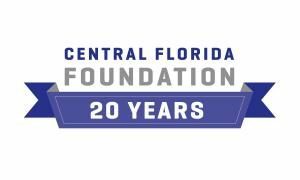 We have responded to multiple incidents of dolphins entangled in crab pots, most notably the star of the Dolphin Tale movies, “Winter” who was entangled in a crab pot in the Mosquito Lagoon and subsequently lost her tail. We are thankful to the campers and bystanders at Long Point Marina for their timely reporting of this distressed animal allowing HSWRI to quickly respond, disentangle and save the dolphin’s life. Joe, a retired veteran, from Buffalo, NY made his way down to Central Florida to leave the cold weather behind. Being a new resident to Florida, he stumbled upon our lab when visiting the Ponce de Leon Beach Landing across the highway from HSWRI. After finding out about HSWRI’s mission he was immediately on board. Joe is a highly valued member of our team; he is always at the ready for a stranding call and seems to always have a solution to every facility issue. He is truly a hero to us. Joe, along with his dog Cheech, is part of our Hubbs-SeaWorld Research Institute family. He enjoys spending time with his dog, kayaking, searching for treasures on the beach with his metal detector, long rides on his motorcycle and helping animals of all kinds. Thank you Joe for all of your help! You are truly a blessing to us here at Hubbs-SeaWorld Research Institute! 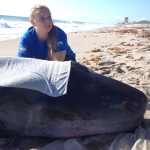 On May 18, 2015 we received an early morning call about a live whale on Melbourne Beach. HSWRI staff and volunteers mobilized immediately and found the whale, a 10-foot (307 cm) male pygmy sperm whale (Kogia Breviceps), rolling in the surf. The animal was moved up the beach and kept upright. Volunteers helped keep the animal wet, cool and shaded. Unfortunately, the whale was in poor condition and was emaciated with frothy respirations. Historically, pygmy sperm whales have had very little success in marine mammal hospitals and are not considered good candidates for rehabilitation. With permission from NOAA, the whale was euthanized on the beach and brought to the HSWRI’s lab for post-mortem examination. The overall appearance of the heart suggested the animal may have suffered from heart disease. 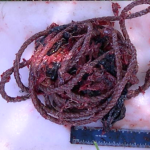 The stomach contents included parasites, squid remains, two pieces of thin, black plastic and an 11-foot long coil of polypropylene rope! We are grateful to the residents of Melbourne Beach for reporting this animal and to HSWRI volunteers for their assistance in this response. Findings from these types of strandings provide valuable contributions to our knowledge of human impacts on off-shore species and our ability to advise resource management. You can do your part to reduce these harmful interactions by participating in coastal clean-ups and disposing of waste properly! Check out research scientists Megan Stolen and Wendy Noke-Durden speaking about our Stranding Program and the IndianRiver Lagoon in this short film by Phil Davis for the Indian River Lagoon National Scenic Byway.